Welcome to Married Life: Painting... with COLOR! I LOVE it! (That's the color of one of our bathroom walls.) I love color on walls. I esp. love that deep red color, and downstairs I used blue on the guest room walls. 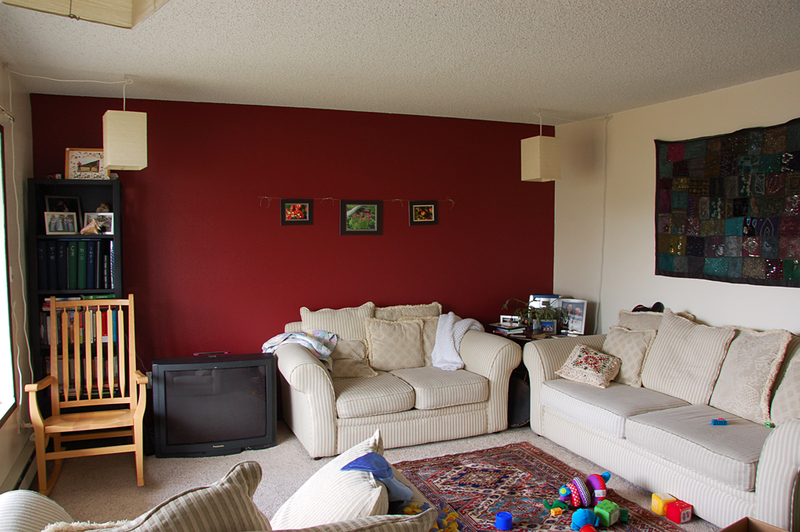 One of the kid rooms is a lite brown and the other a green. Definitely raised eyebrows when I chose the colors. It's funny how certain people just always expect walls to be WHITE but I think a dash of color can really make a room stand out and be unique. You know me Krista....I love the white walls!! Lol! Yeah right! Seriously, just getting ready for our friends from home community who are coming over tomorrow to paint Asher's room a light celery green (that room is sooo dark) and our room will have two orange walls and the other two white. Go bold or go home! Love the red! 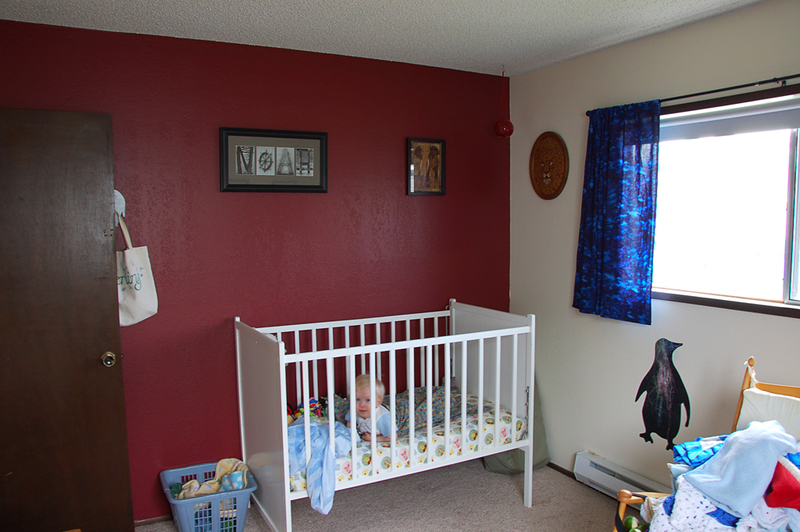 So is the boys' room going to be red and periwinkle? I'm confused. Two weeks and counting from today! Can hardly believe it! We are pretty set for stuff...nice thing about having the second. Love ya! Love it, what is the name of the red?